Here’s a blast from the past mentioned in an earlier blog in the last two weeks! Enjoy… It’s a GREAT place to visit. 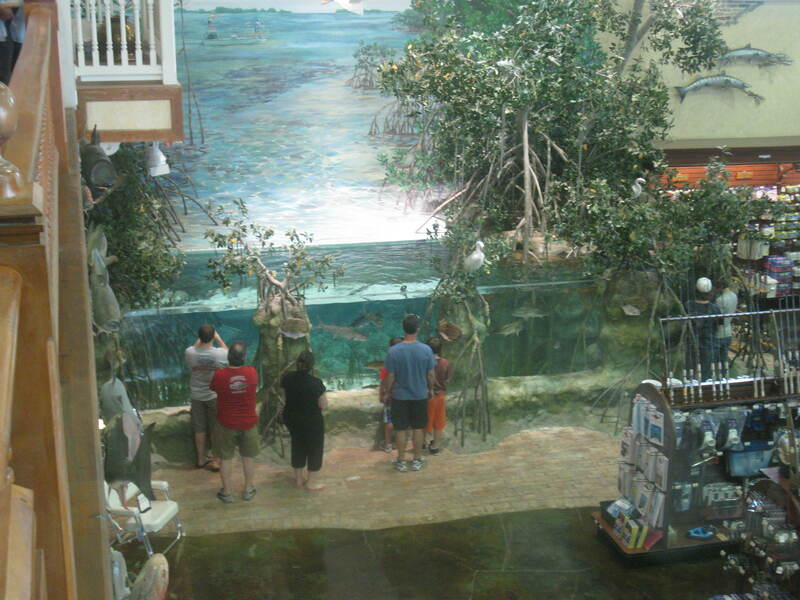 Want to find the largest indoor fish tank in the Florida Keys! Then come along with me for a ride down US-1 south towards the chain of islands making up the Keys. 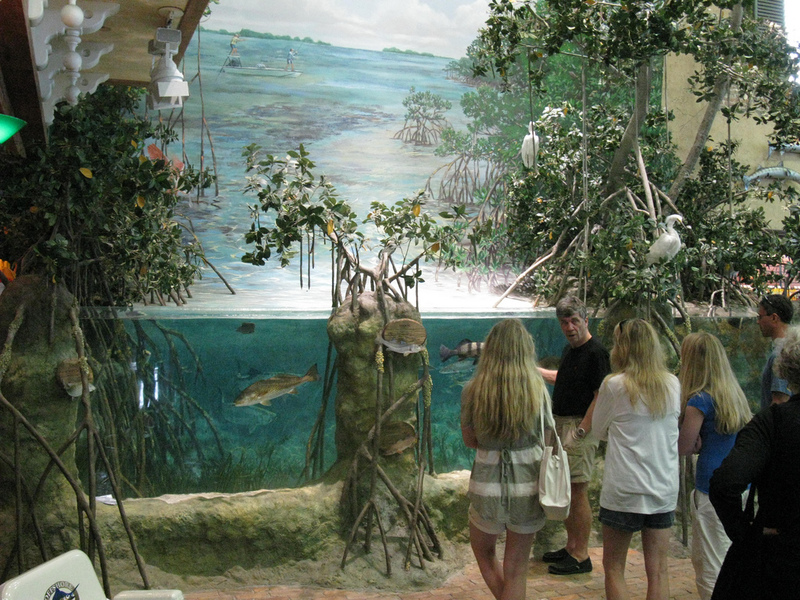 As seen to the left, this above ground aquarium is huge standing an estimated 6′ tall to the top of the glass confinement. The approximate 20′ width and 8′ depth is enormous by any standards. There are many species of fish available for your gawking pleasure and photos. I’ve also included a photo taken from the 2nd floor elevator showing the overall size of the wonderful water world.